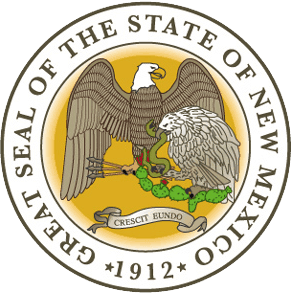 New Mexico Landlord Tenant Law does permit landlords to require that a tenant pay a security deposit, however the security deposit must be “reasonable.” If a landlord demands a security deposit in excess of an amount equal to one months’ rent, under 47-8-18 (A) (1), “the owner shall be required to pay to the resident annually an interest equal to the passbook interest permitted to savings and loan associations in this state by the federal home loan bank board on such deposit.” If the tenancy is for a period of less than one year, a landlord cannot require a security deposit in excess of the amount of one months’ rent. Stay up to date on New Mexico Landlord Tenant Laws + Save money on tenant screening and other property management needs. Join AAOA today, it’s FREE! Upon termination of the tenancy, landlords may deduct from the security deposit any remaining rent that is due and the cost of repairs for damages caused by the tenant. Landlords are required to provide the tenant with a written itemized list of each deduction from the security deposit and to return the remaining security deposit to the tenant within 30 days of termination of the tenancy. Landlords are not permitted to deduct any amount from the security deposit for normal wear and tear to the premises. Breach of agreement by owner and relief by resident As provided in 47-8-27.1, if non-compliance on the part of the landlord involves a threat to safety or health of the tenant, the tenant can terminate the lease with a written seven day notice. If the landlord remedies the situation within seven days, the lease does not terminate. If the landlord fails to correct the breach within the seven days, the tenant may terminate the lease and restore possession to the landlord. The landlord must return any remaining rent and the security deposit. Retaliation by landlord Landlords are not permitted to retaliate against any tenant who is in compliance with the rental agreement and who is not otherwise in violation of the Uniform Owner-Resident Relations Act. Prohibited retaliatory actions include increasing rent or decreasing services. Prohibited actions also includes threatening or actually bringing an action for possession of the premises if the tenant has within the past six months complained to a government agency regarding housing or building codes, acted in good faith by exercising his or her rights under New Mexico Landlord Tenant Law or prevailed in an action against the landlord. New Mexico Landlord Tenant Laws protect all parties to a rental agreement. Make sure you are well protected by always having your necessary New Mexico Tenant Screening and New Mexico Landlord Forms available to you. A key component of landlord tenant laws is also New Mexico Tenant Screening Background Checks. We’ve dedicated an entire page to it because of its importance. Visit New Mexico Tenant Screening Background Checks to screen your tenant. All states require a variety of forms to rent an apartment to a tenant and New Mexico is no exception. Check out American Apartment Owners Association’s New Mexico Landlord Forms now. Looking for landlord tenant laws outside of New Mexico? The American Apartment Owners Association offers helpful landlord tenant laws for all 50 states. Click on any of the states listed below and go directly to its landlord tenant law page. To visit the homepage of landlord tenant laws, click here.